Sometimes you just have to have fun with frames. 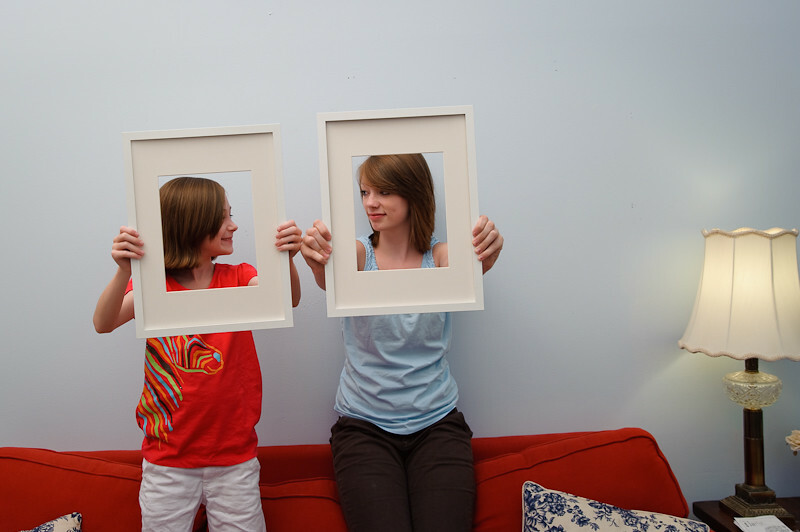 We have these empty frames at the house the needed something in them, so I decided to us the kids. It also lets us see where we could hang them on the wall. I like this fun shot. Your kids are really co-operative for your shots. .-= Dijea´s last blog ..Day 231: Light Rail =-. Cute shot! I like the way the colors between the couch, wall, and your daughters’ tops compliment each other. .-= Alisa Whitley´s last blog ..Day161: Theme Thursday – motion =-. Great idea. I should go and look for some frames as well.